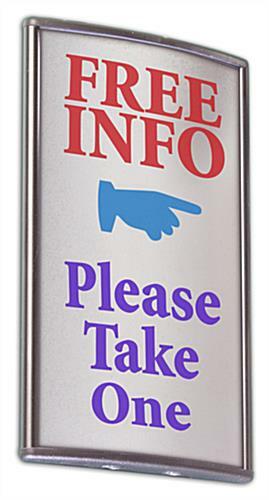 These Door Signs For Sale Ship Quickly When In Stock! Simply Place Your Order Before 1pm EST to Qualify! 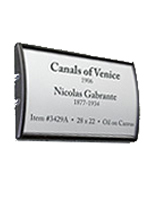 Durably constructed from silver anodized aluminum for years of use. 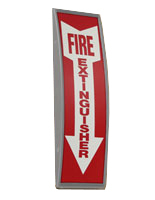 These door signs that are silver are a perfect tool to help direct traffic through a business or organization. 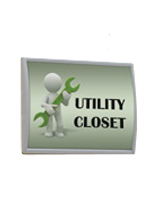 The anodized aluminum construction makes this product very durable, ensuring it will last for a long time. 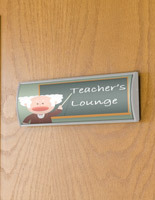 The curved design ensures the tylish door signs will draw attention, and get your messages noticed. The sleek silver finish enables this product to easily blend into any setting, and coordinate with any décor. 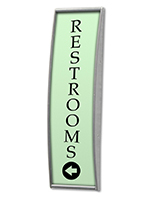 These signage systems, door signs that stick to the wall are sold without graphics. Customers can then create and print their own artwork using a regular printer. 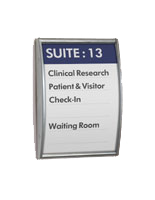 These door signs that hold 3" x 5" graphics can be used to display employee names, warning signs or room numbers. 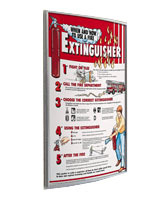 Signholders can be attached to the wall, in both vertical and horizontal orientation, using the double-sided tape included with your purchase. All of the frames come with a non-glare lens to protect your prints from getting dirty or damaged. 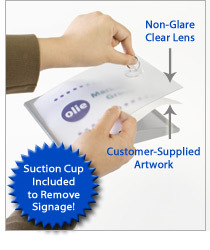 The overlay also prevents glare from hindering the view of your displayed graphics. 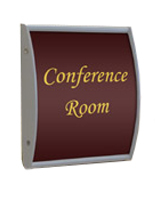 Your purchase also includes a suction cup, designed to lift the non-glare lens for quick and easy sign updates.These door signs that adhere to a wall, also known as a signage display, can be used alone or in sets to create office directories.